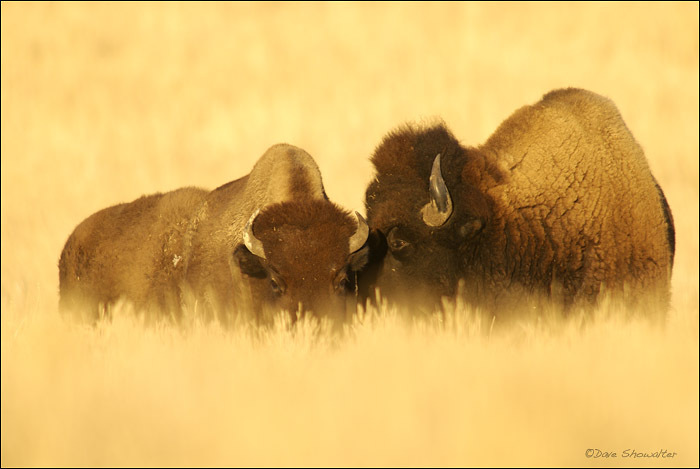 Golden autumn grass surround a bull and cow bison. The moment passed like a thought and the bison went back to their routine of eating grass. Bos bison. Photo © copyright by Dave Showalter.